This post finishes up my series on how to use fonts in Design Space. Start back from the beginning to make sure you don’t miss anything. 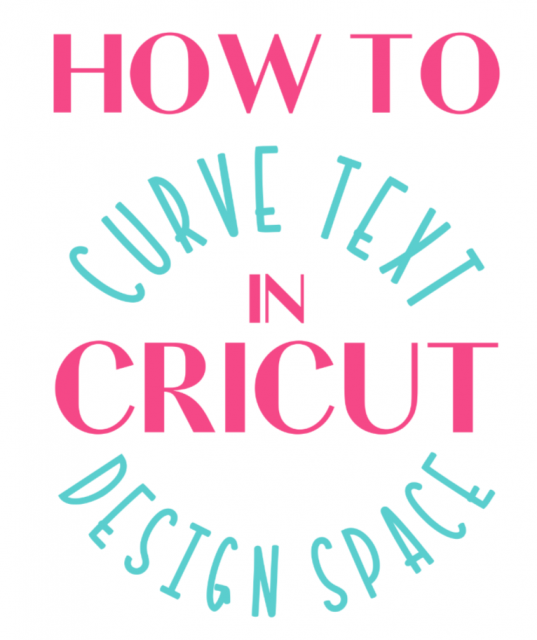 Today I’m talking about how to curve text in Design Space. 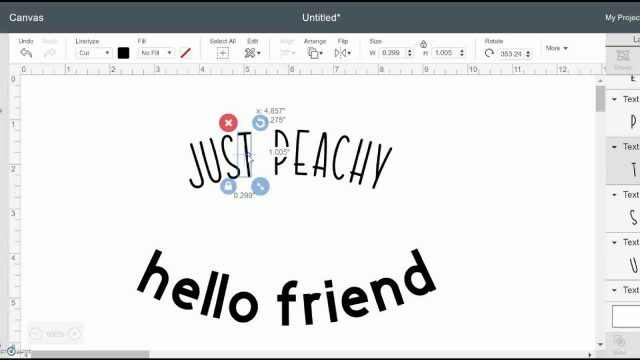 The curve tool lets you give shape to a line of text. You can curve up or down. 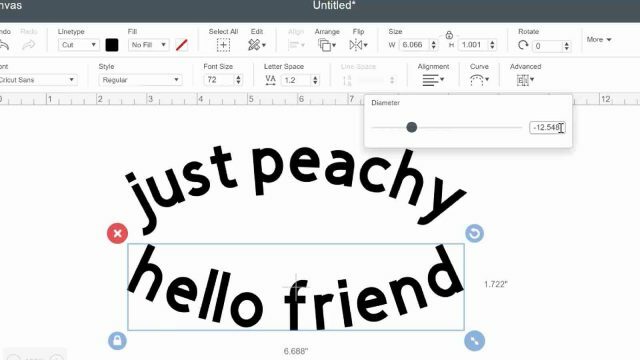 NOTE: Curving text in Design Space must be done on a computer or laptop. The Apple and Android apps don’t support the curve tool yet. Select the line of text (text blocks that have multiple lines can’t be curved – only single lines.) then click on the curve tool. A slider will pop up that you can drag to the right or the left to curve up or down. 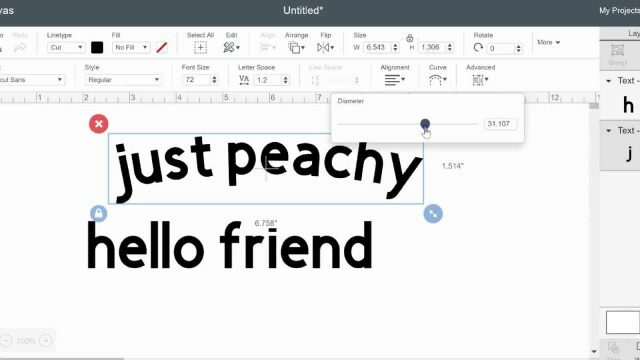 Start by adding the text and choosing the font. Then check for spacing issues – do any of the letters need to be tightened up a bit? NOTE: Once a line of text has been isolated to letters, it can’t be curved anymore. Don’t forget to attach the newly-adjusted letters so they cut out properly. NOTE: Script fonts don’t often do well when curved. Watch the video tutorial to see the curve tool in action. 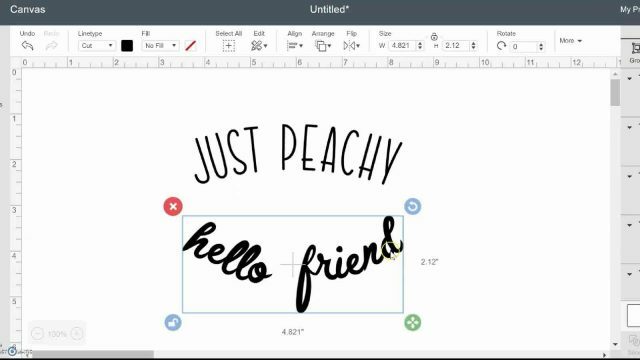 You still may prefer using downloaded fonts with your Cricut. FontBundles is one of my favorite places to purchase fonts, and they have a collection of free fonts also.